You understand the importance of powerful content. You have a great story to tell. Now you need a content strategy and a plan that will help you to meet your business goals. How can I make my content stand out? What type of content should I be offering? Why aren’t people engaging with my content? How can I align my content to the sales cycle? What are the best channels to promote my content? We can help you build a content strategy and plan to reach new audiences and engage existing ones. We’ll start with the vision — your content mission statement — and work with you to build out a programme that’s aligned to your business goals and success factors. Content audits and review services. Content strategy and mission development. Content planning to align to strategic goals and buying cycles. Support and advice on content distribution via owned, social and paid media. content that has helped us to meet our business goals. 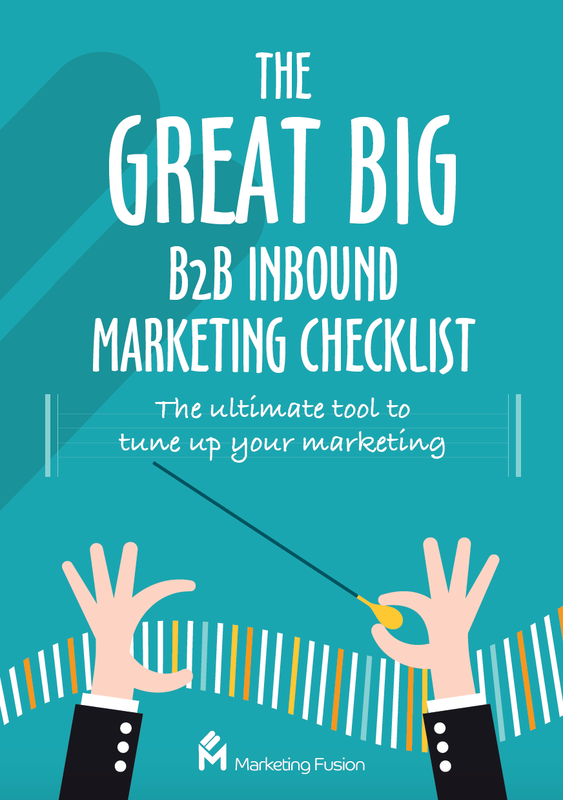 Marketing Fusion provides an in-depth guide to help you keep your B2B inbound marketing working in harmony. It's full of resources, useful tips and tools to help you build an inbound strategy, attract more visitors and convert them into leads.